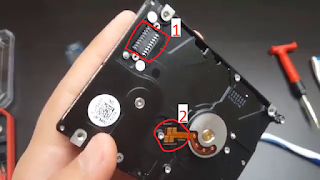 How to Repair Non-Detectable Hard Drive Easy Step by Step Tutorial. Having your laptop hard drive to not working or not being detected by your computer can be a pain especially when you have tons of files and documents on them. 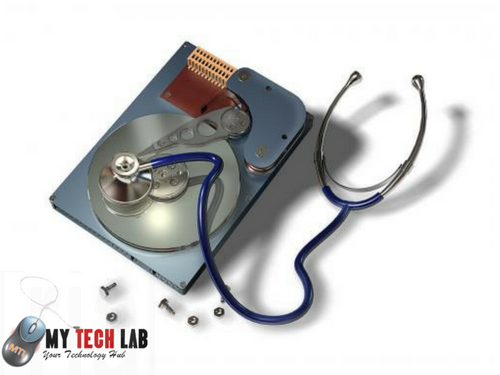 Hard drive issues are very common and if you have been using computers for a while you have probably encountered this issues before whether it’s a crushing hard drive or hard drive not simply detected. What if I told you could actually troubleshoot it and fix it yourself without having to spend money buying new hard drives. 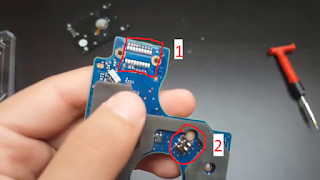 Today am going to show you how to fix any laptop hard drive that is not being detected by your computer. Note that this only works for drives that is clean and cannot be detected only. Before you get started, let me be quick to tell you that, you do this at your own risk (well there’s no risk since your hard drive is already “dead” but just in case to beak it. I will not be held responsible for any further damages. First take an appropriate screw driver that fits the screws on the hard drive and unscrew all the bots. Do this gently and patiently so that you do not cause any physical damage to the hard drive whiles unscrewing. Also make sure you don’t misplace the unscrewed bots. After unscrewing, lift the circuit board on the hard drive gently as shown in the image below. Now turn the lifted board to show the connection side. Here, there are two connection areas to clean with the tooth brush I mentioned earlier. See image below. We are going to repeat the above steps with the other piece of the hard drive we separated. Locate the two connection contact from the surface you detached the circuit board and repeat the cleaning with the brush. Do this for both connections too until you are satisfied with the look. Not too much though. Now attach the circuit board to the base of the hard drive and screw them up with your screw driver. Again, do this carefully so you don’t break anything. NOTE: Screw the circuit board to the base cross-wise. I mean, one left one right in that order. If you don’t screw it up cross-wise it might get cracked while doing it. So take note. After screwing your hard drive up, everything should work fine. Now connect it to your laptop or computer and you should see it show up on your PC. Give a comment below if this method worked perfectly for you. I will see you in the next.